When Subaru dropped the Tribeca five years ago, few really noticed the loss of the company's only three-row crossover. Now, Subaru's three-row dreams are back and this time it's become a marketable reality. Where the Tribeca had a largely useless third row and terrible fuel economy, the new Ascent is roomy, family-friendly, and fuel-conscious. Without losing the signature Suby elements of "get out and do stuff" and all-weather all-wheel drive. The 2019 Ascent is completely new from the ground up, though built on Subaru's new platform that underpins most of the rest of the new Subaru lineup. With seating for up to eight, the Ascent meets or exceeds the expectations set by best-sellers in the midsize three-row segment without getting too uppity about itself. It can also tow up to 5,000 pounds and gets 23 mpg (combined). Not too shabby. Yet the Ascent may not be for everyone. Some might not like the more austere interior or the less smooth road ride the Ascent has, but Subaru fans and those looking for a very capable three-row will not mind those minor flaws. The 2019 Subaru Ascent is a three-row midsize crossover that seats up to eight passengers. The Ascent comes in four trim levels with one engine/transmission option and standard all-wheel drive. Subaru rarely pushes the envelope when designing a mainstream vehicle and the 2019 Ascent is no exception there. The new Ascent looks like a beefed up Outback, in essence, with a few changes here and there to aid its visuals. With roughly the same build, ground clearance, and dimensional balances, the Ascent combines the styling of the more upscale Outback with the more crossover rear end of the Forester. This combination creates a not unappealing crossover that has some of the classy notes of the Outback and the credibility of purpose of the Forester. It's a good combination and fits into the Subaru mindset nicely. Most of the emphasis in the 2019 Subaru Ascent's design language is on the family-friendliness and readiness of this new crossover. Its goal is clearly to mesh those ideals while keeping the Subaru heritage clearly intact. It's well done here. The interior of the 2019 Ascent is much like the interiors of other Subaru vehicles. It's composed of good quality materials, comfortable ergonomics, and a general "go out and do stuff" attitude. There are some throwback things and a few austerity points that make the Ascent not as upscale as its competition, but all of the basic requirements for excellence are in place. 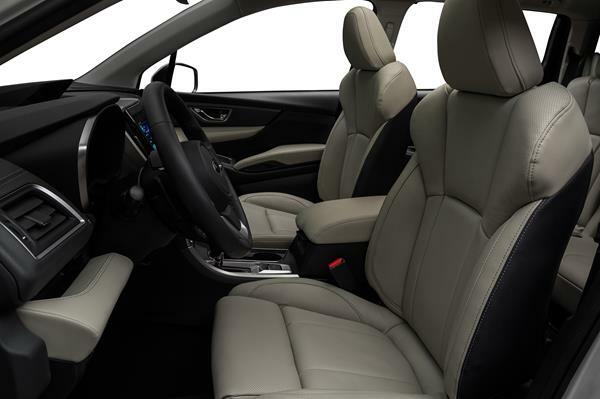 The 2019 Subaru Ascent has a nicely done front row, with good quality seating that's comfortable and adjustable enough for just about everyone to find a fit. Headroom is very good, even for those over six feet, and legroom is excellent. The bolstering on the seats is just enough to hold one in place comfortably, but not so thick that it begins to poke and push. Driver's controls are laid out in an intuitive way, with the focus being on functionality rather than being pretty. Controls on the center console are a bit button-happy, but this throwback may suit Subaru's intended audience well and it does make it easier for some of us to find what we need. In the second row, seating is very good, though we do prefer the seven-seat layout of the second-row captain's chairs to a bench. The bench accommodates three nicely, but makes getting to the third row more difficult. The captain's chairs allow for smaller folks to squeeze between (meaning kids can get back without tilting seats) and are much more comfortable for adults on a longer drive. The large doors and low step-in for the 2019 Ascent are nice touches that Subaru has added to many of its larger vehicles. These allow easy entry and egress, give the vehicle a more roomy feel, and the doors are easy to swing and latch. The third row of the Subaru Ascent is largely for children, but adults can fit when needed. With about 33 inches of legroom, there's a lot of space back there. Adults will find headroom good, but knee bend will be high, which is a common downer for three-row vehicles of the Ascent's size. Cargo space is equally well done in the 2019 Subaru Ascent. There are 47.5 cubic feet with the third row down, 86.5 with the third and second rows down. With the third row up, there is enough room for a grocery run or to tote a tuba or trombone to band practice. 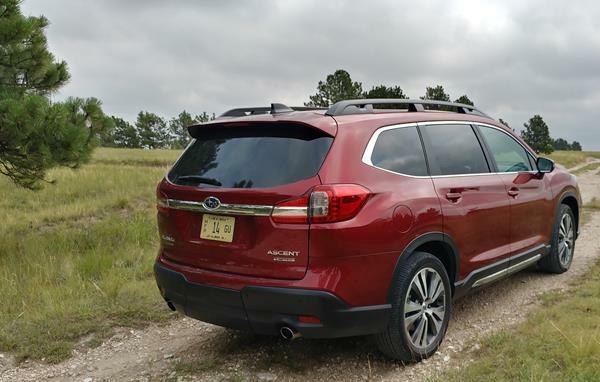 The Subaru Ascent is well-sized and the integrated roof rack (optionally available for luggage) is a great addition found on many Subaru vehicles. The ability to tow up to 5,000 pounds (when equipped) isn't too shabby either. The 2019 Subaru Ascent comes standard with a 6.5-inch color display for infotainment in its base model. All other models have a larger 8-inch screen that adds voice controls, Apple CarPlay and Android Auto, and an available suite of Subaru and connected apps. 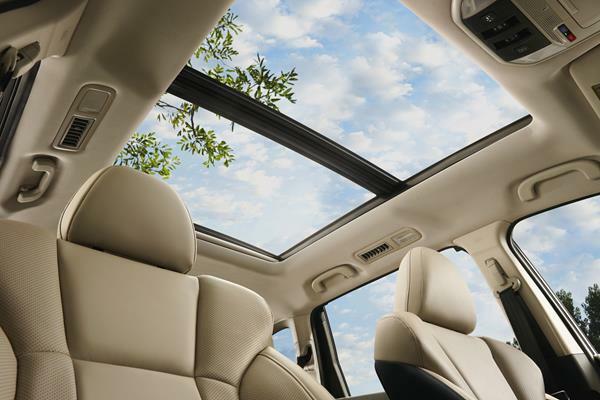 Most of the technology within the Ascent is similar to what's found in most other Subaru models. It's functional, meets the need, and works well. It's not necessarily cutting-edge or sophisticated, but there's enough for most to be happy with what they've got. With the use of the CarPlay/Auto setup, there's little need for in-car apps anyway. Or navigation, for that matter, which is available if you want it. Subaru's voice controls for infotainment are very well done. They're useful when a smartphone isn't plugged in, like on short trips, and make menu commands navigation easy, if a bit tedious. 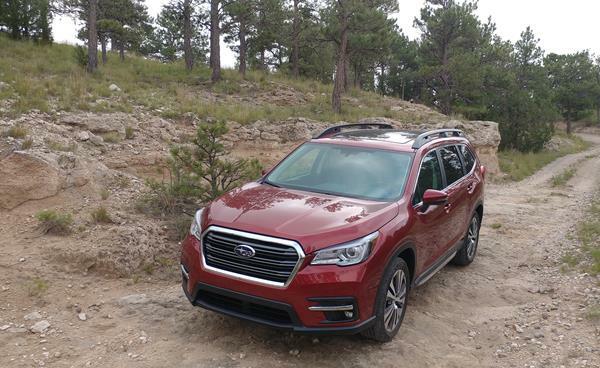 The 2019 Subaru Ascent is a real fuel-sipper compared to other AWD rivals on the market. The EPA rates the Ascent at 21 mpg in the city and 27 mpg on the highway. Our real world time with the crossover proved those numbers out, averaging about 25 mpg overall, about two points higher than the expected combined MPG. There are no reliability metrics to use for the all-new 2019 Subaru Ascent. Our score here is based on the overall expectation from Subaru and the scores received by models in the Subaru lineup that have similar builds and powertrains. There has been one recall on the Ascent to assess roof structure for missing spot welds. There is otherwise nothing to report for reliability concerns. Subaru aims towards getting perfect scores on crash tests and tends to get them. The 2019 Subaru Ascent has not yet had crash test results published by the National Highway Traffic Safety Administration (NHTSA). The Insurance Institute for Highway Safety (IIHS) has, however, published a full suite of results and given the Ascent perfect scoring across the board, including a "Superior" score for its advanced crash avoidance systems (available on some models). The 2019 Ascent is powered by a 2.4-liter four-cylinder opposed-piston engine that outputs 260 horsepower. This runs to a continuously variable transmission (CVT) and a differential for full-time all-wheel drive. 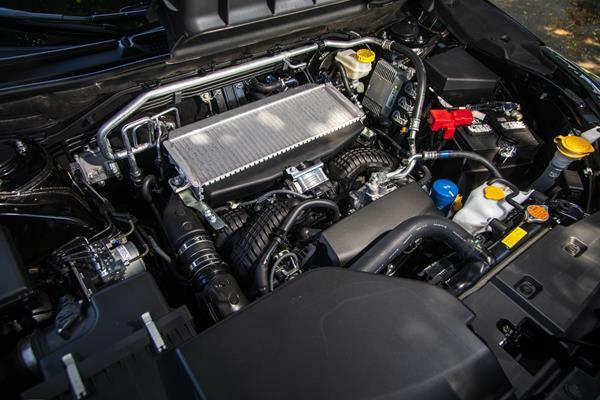 The little turbocharged engine delivers power earlier than what's found in many Subaru models like the Forester and Outback, adding more umph to the Ascent's get-up. There is some turbo lag, but the 2019 Ascent is not a performance car, it's a family crossover and that lag is no worse than we've seen in more sporty models. The Ascent is capable of getting up to speed easily and making the pass when required, all while toting the whole family and all of their stuff. We didn't get a chance to try towing, but suspect that the engine would do well there too. Handling in the 2019 Subaru Ascent is similar to that found in the slightly smaller Forester model, which means it's maneuverable, but not sporty or precise. Still, the AWD system goes a long way towards helping the Ascent feel ready for anything and it's definitely all-weather friendly as we learned during one day of unexpectedly harsh rainfall. Off the pavement in light offroading, the 2019 Ascent lives up to the Subaru name for "getting there to do fun stuff." The Ascent is, in every way, a Suby. The 2019 Ascent is a solid entry into the three-row family crossover arena. Its appeal to Subaru buyers in particular is large and we expect the Ascent to follow most other Subaru models with high resale values down the road. We recommend most shop for the Premium trim level as a best fit for modern amenities and price point. The base model lacks several things that aren't too expensive to upgrade to with the Premium trim. The Limited trim is also a good choice if advanced safety options are in your budget, but we'd shy away from the Touring model unless having all of the goodies in one package is your preference. There is no shortage of competition in the three-row midsize crossover arena. Chief competitors against the 2019 Subaru Ascent are the Honda Pilot, the Chevrolet Traverse, and the Nissan Pathfinder. Of those, the Pilot has the same off-pavement capability as the Ascent and a more contemporary feel, but lacks the pacing of the Subaru and achieves less fuel economy with the more comparable V6 with AWD. The Traverse, similarly, suffers in that way, but is a larger vehicle with a more family-friendly design overall. The Traverse is one of our top picks for a family-friendly three-row, but may not appeal to Ascent shoppers interested in a smaller-sized vehicle. Finally, the Nissan Pathfinder offers a similar size and more contemporary appeal with its upscale design. It is not, however, as off-road capable or all-weather friendly as is the Subaru Ascent. 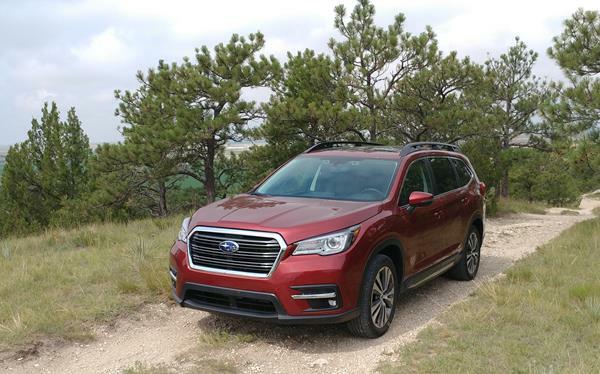 In our assessment, the 2019 Subaru Ascent is a solid choice in the midsize three-row market. We like it's general Subaru style, high amounts of "ready for action" appeal, and well-done outdoor family friendliness. It's a good get-around vehicle for everyday, with high fuel economy returns, yet the Ascent will get out into the brush when desired and feels confident when the weather stops cooperating. All signature reasons to buy a Subaru. Interested to see how the 2019 Subaru Ascent ranks against similar cars in terms of key attributes? Here are the 2019 Subaru Ascent rankings for MPG, horsepower, torque, leg room, head room, shoulder room, hip room and so forth.